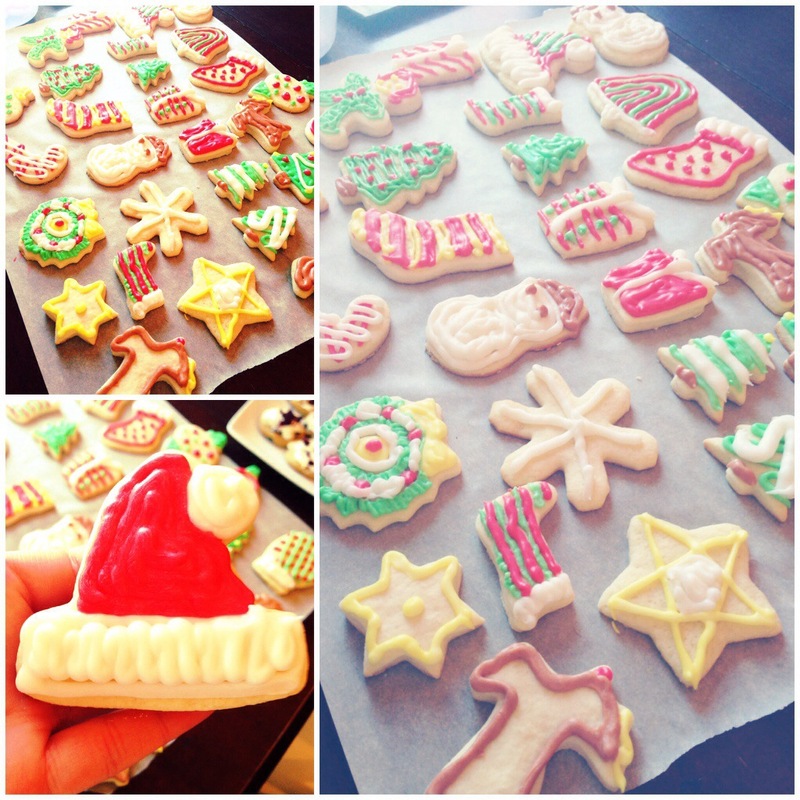 My favourite thing to do around Christmas is bake, and I love baking sugar cookies because of all the fun you get to have decorating them when they’re cool! This is the best sugar cookie recipe I’ve come across so far, and it turns out perfect every time! Enjoy, and Merry Christmas! Using an electric mixer, beat butter (or margarine) and sugar. Add baking powder and salt. Beat until combined. Beat in egg, milk, and vanilla. 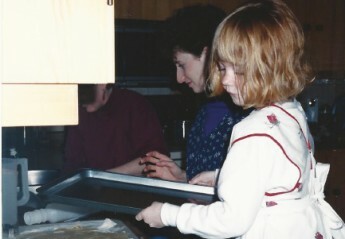 Beat in as much of the flour as you can using the electric mixer, and mix in the rest with a wooden spoon or your hands. Divide dough in half, roll in large balls, and chill (covered) for two hours. Preheat oven to 375F. Grease two cookie sheets lightly (unless you have non-stick ones). On a lightly floured surface, roll one of the balls of dough to 1/4″ thickness. Cut out shapes using cookie cutters and place on prepared cookie sheet about 1″ apart. Bake each batch for approx. 7 minutes. Cookies should not brown, but will be slightly golden brown on the bottom. Transfer to cooling rack. 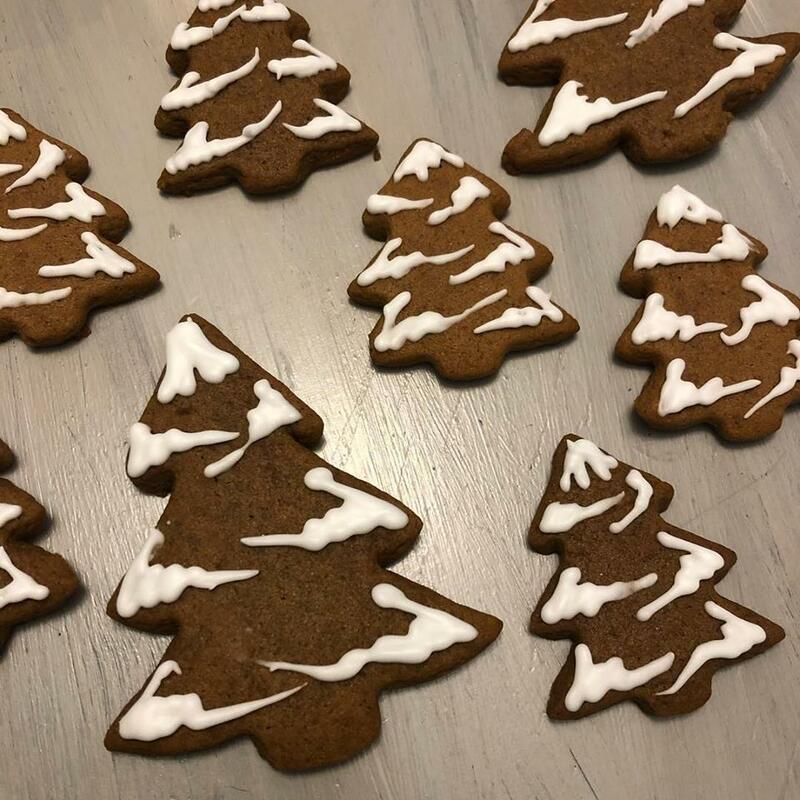 You can decorate the cookies once they are fully cool – I usually let mine cool overnight just to be sure they are fully cool. Too warm and the icing will melt off the cookies and make a mess. This recipe comes from a Christmas cookie magazine from Better Homes & Gardens.